The community of Cedarville University faces controversy in the wake of several prominent resignations and possible cessation of its philosophy major. The Ohio-based Baptist school with a fundamentalist heritage is well-known in evangelical circles as a popular choice for undergraduate education from a Christian perspective. Now some developments have some students wondering if there is a covert cleansing of the ideological temple. Earlier last year, theology professor Michael Pahl was relieved of his post for doubting a literal Adam and Eve. While the college’s stringent doctrinal statement seemed to affirm a literal account of Genesis, Pahl was able to sign off the document in good faith until the advent of the trustees’ theological white papers. 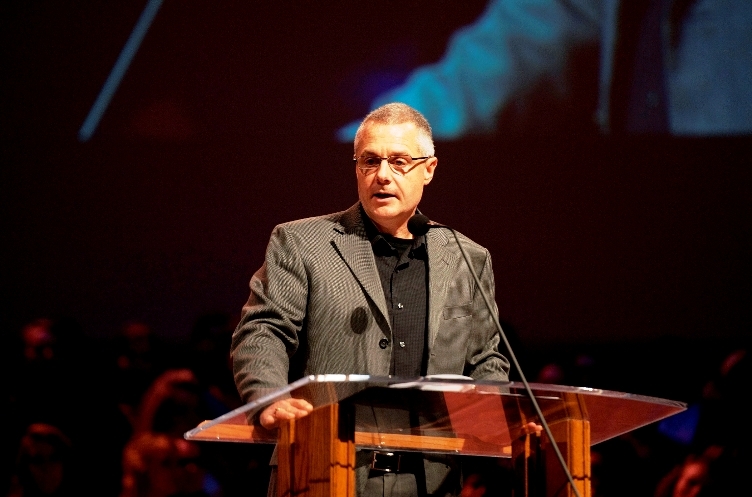 Oddly, only a half-hour after the Christianity Today announcement on the matter was published, Cedarville president Dr. William Brown announced his resignation effective June 30, 2013. Student body president Zak Weston reported that rumor and suspicion now plague the campus. The suddenness of the announcement, the vagueness of reasoning, and the restrained communication agreement shocked students. They doubt that Ruby’s resignation was voluntary. Some students and alumni suspect Ruby’s more moderate approach to politics and interaction with society may have fallen afoul of more fundamentalist-leaning parents, donors, or trustees. Aggravating the entire situation is the proposed axing of Cedarville’s philosophy program. There has been a recommendation to the board of trustees requesting the removal of the program and perhaps its professors. This decision quickly sparked protest. The two philosophy faculty members are also known for their more moderate views. For example, they wrote up an article for the student newspaper critiquing Presidential candidate Mitt Romney. The editorial did not endorse Barack Obama, and another professor wrote an article supporting Romney in the same newspaper. Weinstein revealed that this situation was actually the result of unfortunate timing. He clarified that every program goes up for review every five years. This year, it just so happens that enrollment, interest, and other factors call for significant alternations to the philosophy program as well as the cessation of the bachelor of arts in physics (a different department altogether). “This is more of a decision based on a decline in philosophy and decline in physics,” Weinstein urged. Weston recounted the same, mentioning that the major would be cut from the catalog while philosophy classes and minors would probably endure. However, one or both of the professors may be released, depending on the board’s decision to have either full-time faculty or a collection of adjuncts. As always, Cedarville University will have to navigate the academic waters between the Scylla of fearful fundamentalism and the Charybdis of noxious liberalism in its pursuit of learned orthodoxy. No doubt the Christian academic community wishes and prays for the best of outcomes. I supported this University at one time and my children attended the sports camps there. I was involved in other avenues as well. I am sad to read all this but oddly enough, it reads a bit like the problems Paul addressed in the early church. Why can’t we all embrace the cross and leave the minute differences alone? Life it too short and we so desparately need to concentrate on what we were called to do; rescue the perishing. If I was not a believer already, I would be hesitant to committ to all this confusion. I will keep Cedarville University in my prayers, and believe that all work together for good. God Bless. This is a painful process for many genuine schools like Cedarville that will simply have to be endured as the Body of Christ begins to reconcile at a faster and faster pace under the persecution of our secular culture. Cedarville is struggling to find it’s identity because it never really had a solid, unchanging identity in the first place. They began as a derivation of protestantism (GARBC to be exact) and will continue to go through various changes in protest to some aspect of the sifting sand of Christianity that is not built on the Rock. I graduated from Cedarville and remain forever in debt for what I gained from the many who love and follow Jesus Christ on that campus. Most of all I am thankful those like Carl Ruby and Sandy Etner who have helped hundreds of young people, who as Baptists or some other flavor of Evangelical protestantism that doesn’t have the Sacraments, (particularly the Sacrament of Reconciliation), know and accept the mercy and grace available in Christ Jesus. Cedarville’s flavor of Baptist, which is a somewhat a 4/5 baked type of Calvinism is unreasonable, ergo why they have to dump the philosophy department. People who think and love truth are not comfortable with contradictions and Cedarville has contradictions in its doctrinal stance. Dogma is serious stuff. If you want the fullness of truth go to your nearest Catholic Church and prostrate yourself before the Blessed Sacrament, which is Jesus Christ Body, Blood, Soul, and Divinity. Open up a Catholic Bible that has all of the Scripture and look up every reference as you go through the Catechism of the Catholic Church. Then in the light you will see light. Jesus Christ is central to EVERYTHING that is taught in the Catholic Church and done in the Mass. The Catechism of the Catholic Church is an excellent tool to help all of you understand this reality. You will find no contradiction there, so is anyone thirsty? Is anyone hungry? Taste and see the goodness of the LORD. Peace be with you all. No organization and few people have had the deep positive impact on my life that Cedarville has had. My prayer for Cedarville has been, and will continue to be, that God will bless it with many people who will remind others of Jesus Christ and that he will make the campus feel like heaven to all who step onto it. There is ample evidence that this prayer is being answered. My own children are, and will continue to be students there and I recommend it to anyone who is looking for a Christ-centered university with a great faculty, an amazing student body, and a very strong sense of community. Dr Ruby is a big part of the reason I’m a Christian today. His dedication to the student body at Cedarville is unparalleled. I had written a whole bunch of other, meaner things re: Cedarville’s trustees, but I won’t publish them here out of respect for Carl and his reconciliatory ethic. A secular organization censuring a Christian institution for adhering to its conservative values in a society that is evermore liberal…and your point is? For adhering to conservative values?? The conservative professors were all terminated and it triggered the AAUP investigation into tenue contract fraud! Truth, please accept my apology. In doing further due diligence I see where I was mistaken in my interpretation regarding those who have been impacted. Thank you for bringing that to my attention. While we don’t know all of the details, the outward appearance of what has occurred in the past few years is at the very least disappointing, and hopefully not indicative of a continued direction for the university. There are enough Christian colleges that have drifted from their conservative moorings that the choices for students who desire fundamental environments are virtually non-existent.